The Celtic festival of Samhain, which is now known as Halloween, celebrated the passing of the Celtic Old year into the Celtic New Year. On this day it was believed that spirits leave the Otherworld and walk the earth. 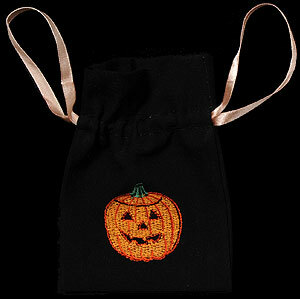 To celebrate, we have created products featuring witches and pumpkins. Celebrate your Halloween by giving one of our Halloween Pumpkin gift bags which can be filled with sweets for your trick or treat visitors. Celebrate your Halloween by giving one of our Halloween Witch gift bags which can be filled with sweets for your trick or treat visitors.